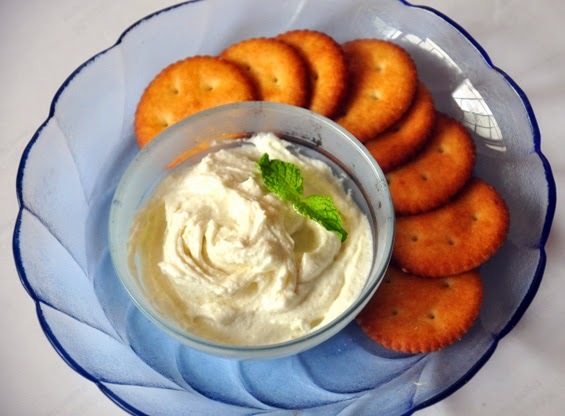 Cream Cheese is a tasty spread used on crackers and bread, as a base for dips, frosting and cheesecakes. 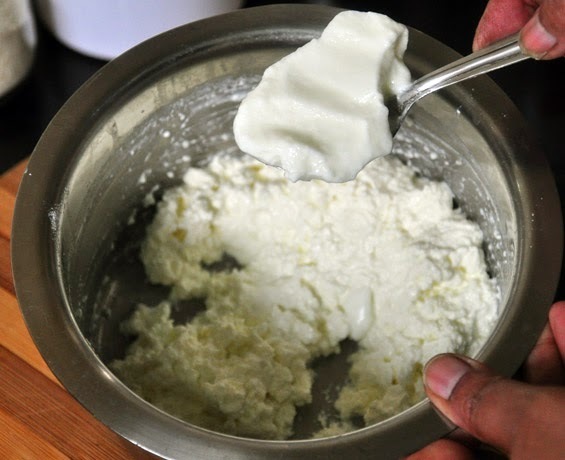 Cream cheese is very easy and simply requires just three ingredients which are readily available in your kitchen. To prepare this lovely cream cheese it does not need chemical culture and /or rennet which many are not in favor of. 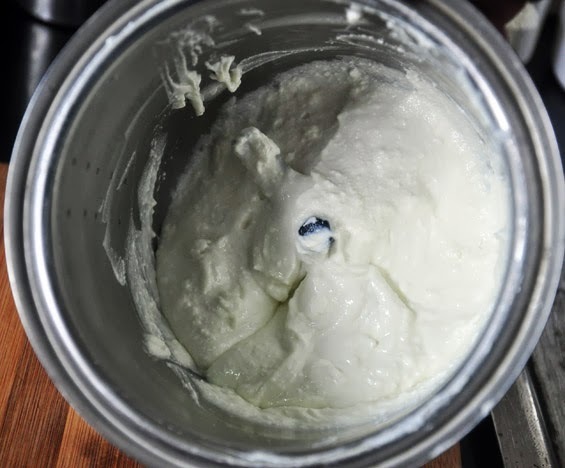 The process to make cream cheese is quick and uncomplicated. 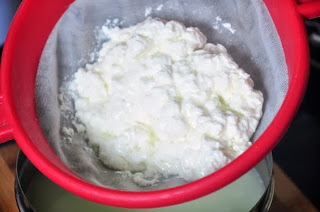 Once the whey is drained out completely, you are left with beautiful, soft, smooth and creamy cream cheese which is fresh and better than the store bought commercial one. Store bought cream cheese is quite expensive; Homemade one is economical and most importantly, fresh. 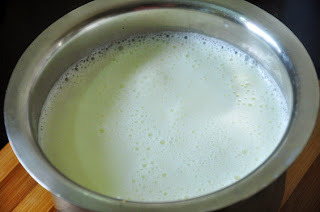 Boil milk, add lime juice; stir gradually, continuously until it curdles and you can see separation of cheese and whey. 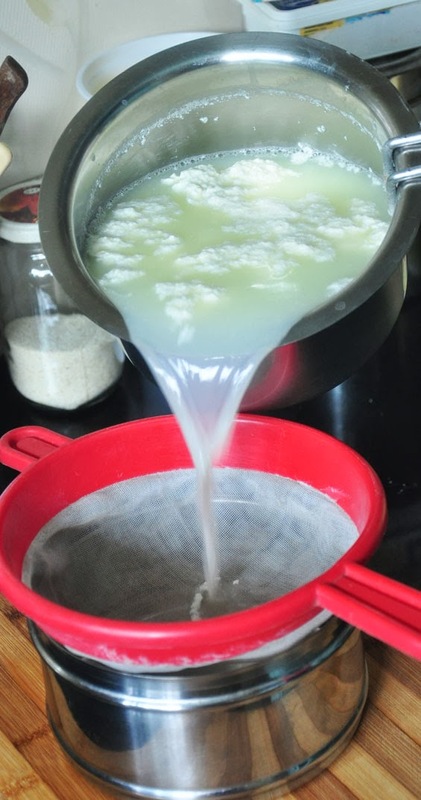 Strain through a fine sieve or use a cheese cloth/muslin cloth. Wash the cheese twice with normal water to get rid of the lemon flavor. Leave the cheese bundled in the cloth to hang or in the sieve to drain completely. 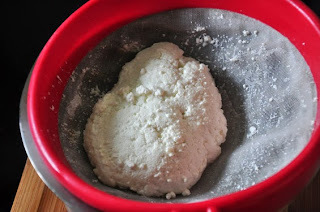 Transfer to a bowl; add (non-sour) curds and mix well. Transfer this mixture into a blender and grind to a smooth paste. Transfer again in a sieve or bundle it up in a cloth to drain completely. It may take about 5-6 hrs. or preferably overnight to drain thoroughly. It is better to let it drain in the fridge with a bowl placed underneath to collect the liquid. 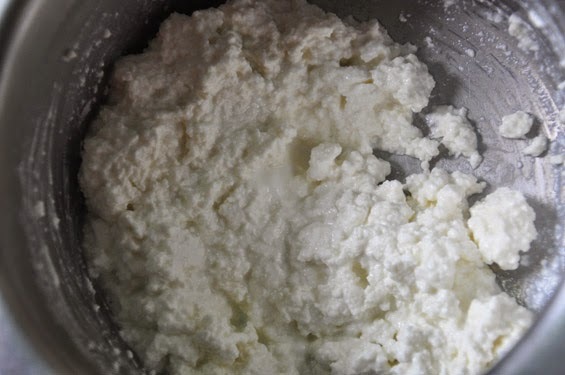 Next day, transfer your homemade cream cheese in a bowl. Keep refrigerated. Before using bring it to room temperature. Use your homemade cream cheese to prepare frostings, dips, spread or simply use to make cheesecakes! 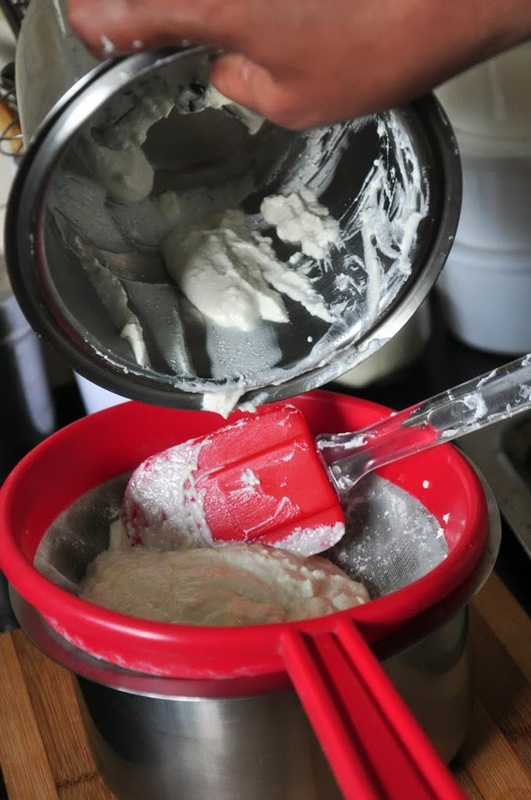 For a creamier cream cheese, use about ¼ cup fresh dairy cream or use full cream milk. 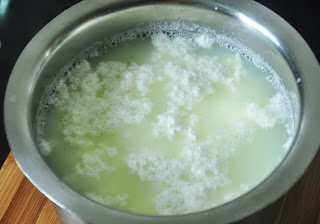 Make sure that the curds/yoghurt is not sour. Always keep the cream cheese refrigerated if not in use. 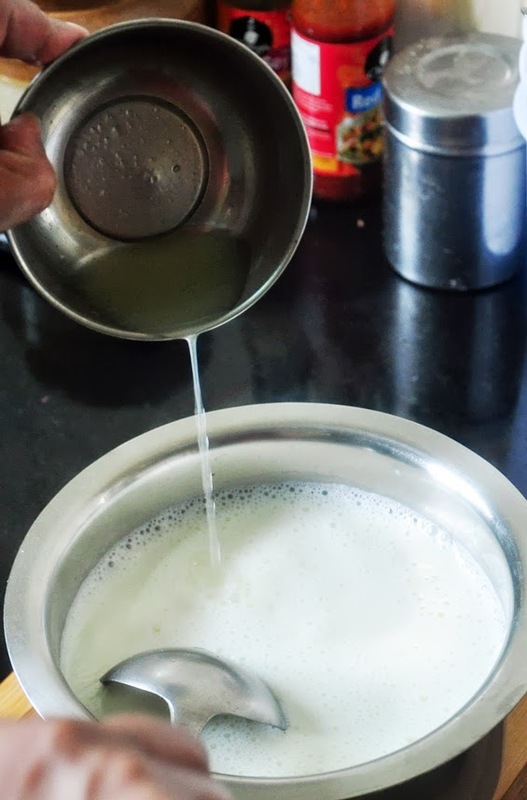 what is the time for the entire cooking process once the milk is boiled and the lime juice is added to the milk?